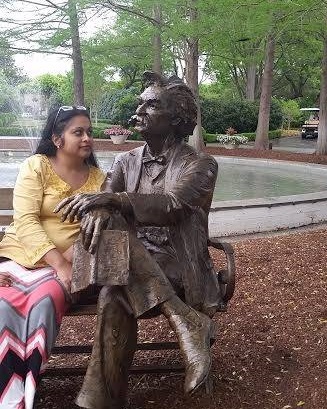 Lopa Banerjee is an author/poet and translator based in Dallas, USA. She has a masters’ degree in English literature from the University of Calcutta and in Creative Nonfiction writing from the University of Nebraska at Omaha. She is the co-editor of ‘Defiant Dreams’, the Amazon bestseller published by Readomania. Her memoir ‘Thwarted Escape: An Immigrant’s Wayward Journey’, a First Place Category winner at the Journey Awards 2014 hosted by Chanticleer Reviews, has recently been published by Authorspress and is available in Amazon and Flipkart. Her poetry, essays and short stories have been published in many anthologies, journals and e-zines both in India and in the US. She has been a regular contributor for Café Dissensus, Different Truths and Readomania and has received the Reuel International Prize for Translation 2016 for her publication of ‘The Broken Home’, English translation of Rabindranath Tagore’s novella ‘Nastanirh’.